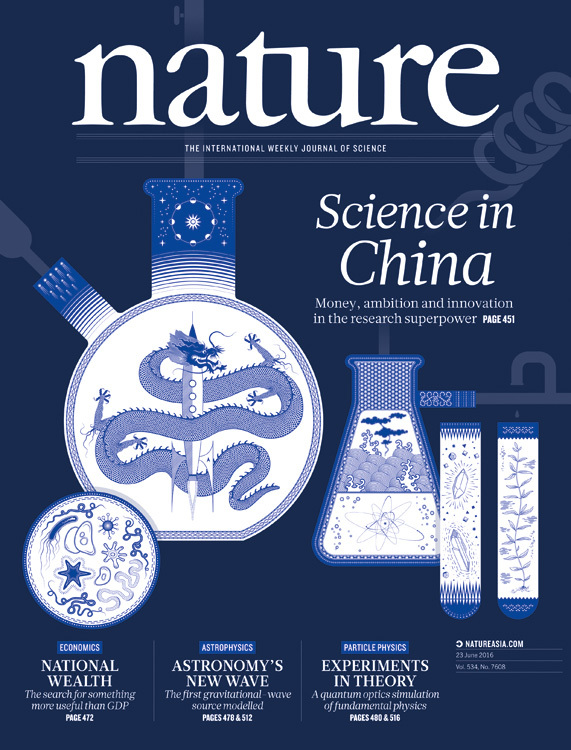 This special issue of Nature looks at the country’s astonishing scientific trajectory as it seeks to secure its spot among the leaders in innovation. For the cover we wanted to come up with a conceptual illustration without using common cliches. We threw around a number of ideas and finally went for the porcelain lab tubes which seemed like the strongest one that also worked well visually.